The Darkest Minds (film, 2018). A 2018 American dystopian science fiction thriller film with "PG-13" rating by 20th Century Fox. Directed by Jennifer Yuh Nelson. Official Trailer. The Darkest Minds is a 2018 American dystopian science fiction thriller film directed by Jennifer Yuh Nelson. 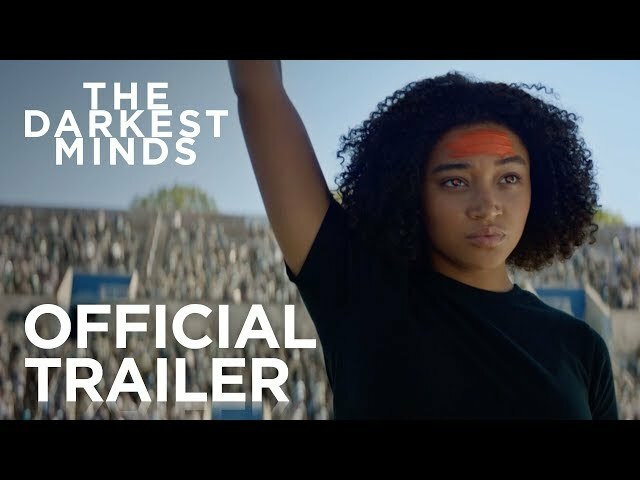 The Darkest Minds | Official Trailer | 20th Century FOX. A sudden disease kills nearly 90% of the children throughout the United States, leaving the survivors with unusual abilities. As a result, the government place the survivors in a "rehabilitation camp", where they attempt to cure the children of their disease, distinguishing them into classes based on their abilities. Ruby Daly celebrates her tenth birthday with her family, where her father gives her a keychain. Seeing her parents' concern about the disease, Ruby goes to comfort her parents in the night, touching their hands, and inadvertently erasing all their memories with Ruby. In the morning, her mother locks Ruby in the garage; having no recollection of her, she sends Ruby to an internment camp, where Ruby is determined to be an Orange, the most dangerous class where they have the abilities to control other people's minds and memories. Ruby accidentally uses her abilities to convince her supervisor that she is a Green, the least dangerous one with extremely high intelligence. Six years later, Ruby is found out to be an Orange following a test using a frequency that is only detectable by Oranges. Cate Begbie, a doctor whose real name is Cate Connor, reveals herself to be part of the Children's League, an organization that uses the survivors as soldiers, and helps Ruby in her escape from the camp. The two make their way to a gas station, where Cate provides Ruby with a pendant that can be activated into a tracker in the case she is in danger. Cate introduces her to an associate of the League; a suspicious Ruby makes her escape from the station with a quiet little girl named Suzume, a Gold who has the ability to control electricity. Suzume, shortened to Zu, introduces Ruby to her friends, Liam, a Blue who has telekinetic abilities, and Charles, known as Chubs, a Green, who agreed to let Ruby join them as they try to make their way to a safe haven, led by another Orange "Slip Kid". Principal photography began in April 2017 in Atlanta, Georgia. 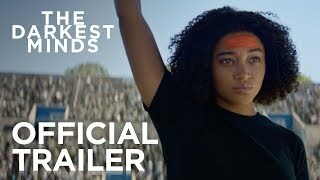 The film The Darkest Minds was scheduled to be released by 20th Century Fox on August 3, 2018 (United States), on August 10, 2018 (United Kingdom), on August 16, 2018 (Germany) and on September 14, 2018. The duration of the film is 105 minutes. With a budget of $34 million, the film grossed over $41.1 million. The Darkest Minds got low rating from critics. But the audience likes the film. Audiences polled by CinemaScore gave the film an average grade of "B" on a scale ranging from A+ to F.